No Hoax – this is really Liverpool’s best hostel! – Ryans-Air-Adventures! No Hoax – this is really Liverpool’s best hostel! Hoax Liverpool is finally opening its doors and is set to become the premier place in the city to stay on the cheap! 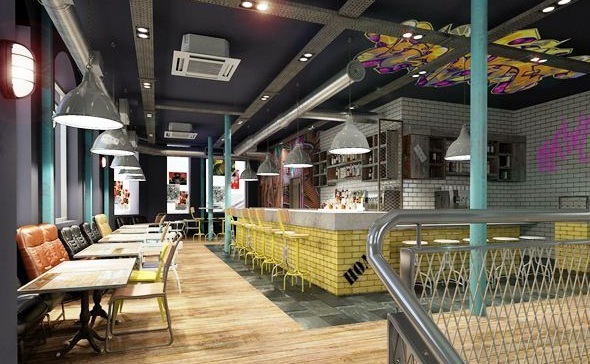 Liverpool’s (and at the moment, the UK’s) newest hostel boasts just under 300 beds, ensuite rooms, an amazing tapas street kitchen and bar called ‘Hopskotch’ and a live music venue called ‘The Hatch’. 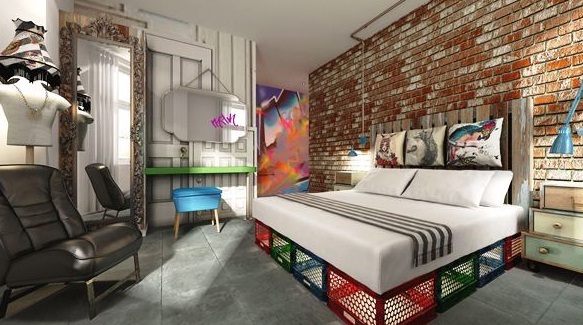 The companies ‘Starboard Hotels’ & Union Hanover’ have teamed up to launch what is expected to become a chain of luxury hostels with modern hotel panache. The marketing team behind HOAX bill it as ‘A hostel for people who don’t do establishment. The independent thinkers and subculture embracers. HOAX is the place to stay to meet people that share a common mindset. HOAX is different. HOAX is fresh. HOAX is original’. Location can’t be beat – right across the road from the infamous Cavern Club, best known for hosting legendary musicians such as The Beatles and The Rolling Stones. To this day, if you are after the best secret gigs in town then a stay at HOAX will ensure an easy crawl back to bed in the morning! Currently giving away £10 beds as part of an opening bonanza, the property can also be found giving special discounts in the HostelBookers Summer Sale. Starboard Hotels is a developer and franchisee of Intercontinental Hotels Group and Wyndham Hotel Group, and operator of the 620-bed Smart City Hostels in Edinburgh…. so expect big things to come! This entry was posted in Backpacking, Budget travel, City Break, Holiday ideas, Hostel Industry News, Hostels, Travel and tagged Best UK hostels, cheap liverpool accommodation, HOAX hostels, Hopskotch liverpool, hostel near cavern club, hostelbookers liverpool, hostelbookers summer sale, hotels near cavern club, liverpool gigs, liverpool hostels, luxury hostels, music venue liverpool, newest hostel in UK, party hostels UK, ryans air adventures, see the world for less, starboard hotels ventures, tapas in liverpool, the cavern club gigs, The Hatch liverpool. Bookmark the permalink. ← HostelBooker’s Summer Sale – saving you money while travelling!